Recently, I was invited to the bloggers day which organized by the Hugos by Modestos. Well, it's definitely not my first time heard about Modestos. When I still working at my former company, I always passed by the one located Jalan P Ramlee, which at the same road as the Beach Club. 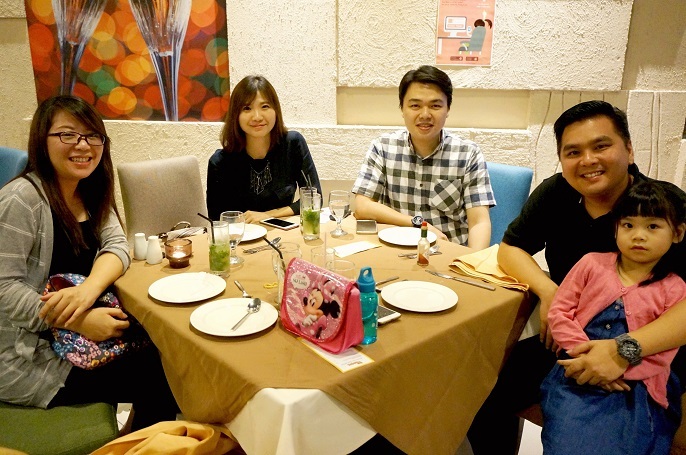 But, it's my very first time stepping into this restaurant, so it's kinda excited for me to be one of the invited guests to the special blogger day because I will have the chance try out their latest food and drink. #yes! 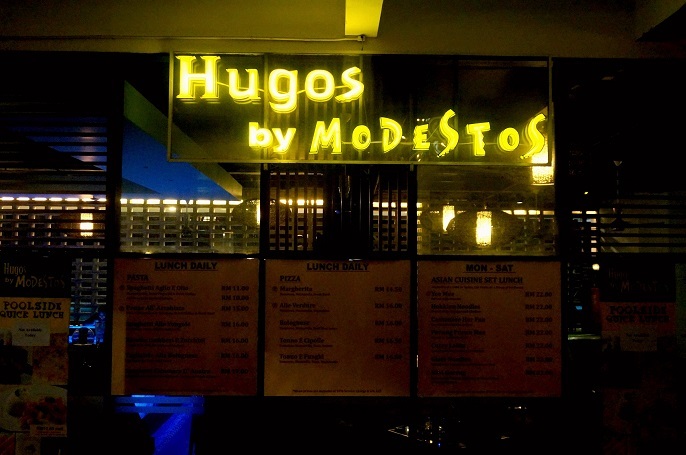 Hugos by Modestos, situated in a beautiful and quiet location at Qliq Damansara. 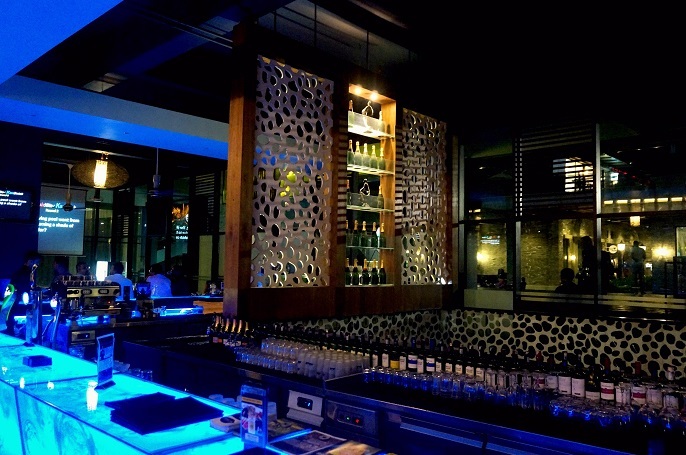 The restaurant has big space which has divided into 3 sections; a big dining room section, an inner sitting section and an outdoor bar section. 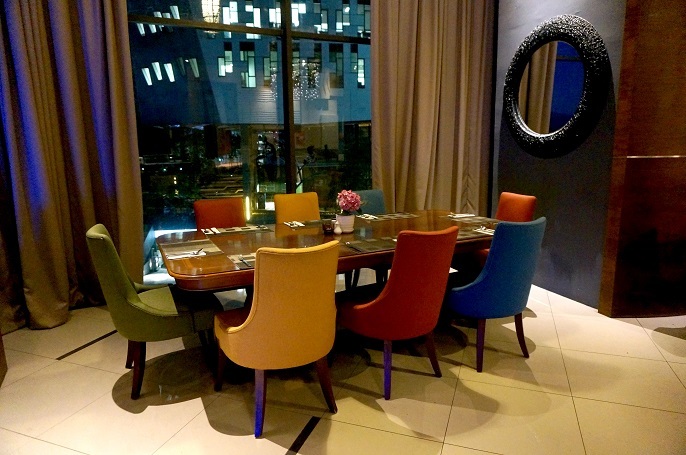 The main dining area is big which uses the same chairs and tables but in different colours and styles. 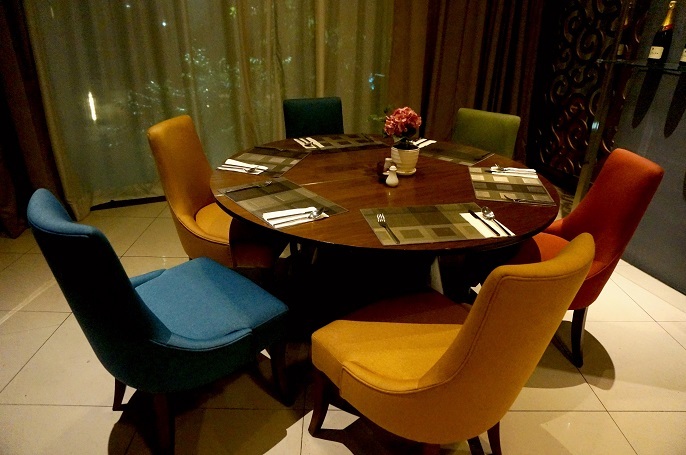 For a Western restaurant, it makes me feel warm to see some round tables inside. 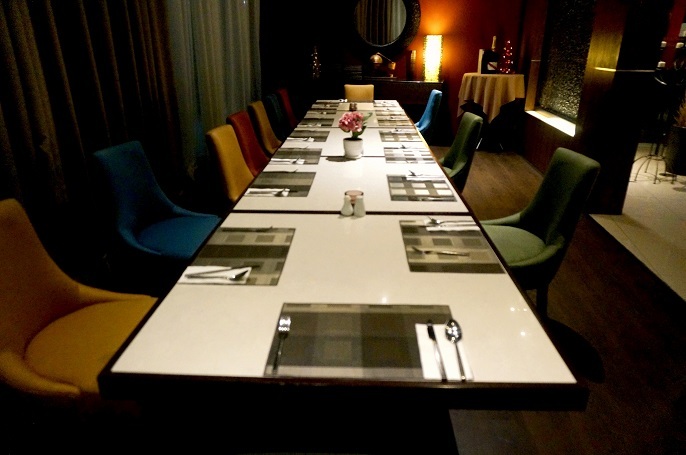 At the inner sitting section, it has a good lighting system which let's the dining room stay dim and nicely. This is a quiet place and very good to relax and spend time with your loved ones. 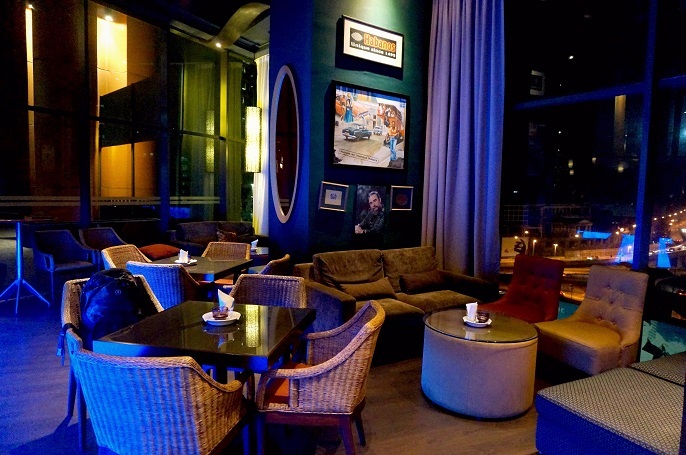 The soft lighting adds a dash of cozy and romance for you to enjoy your drinks and food after a long day at work. 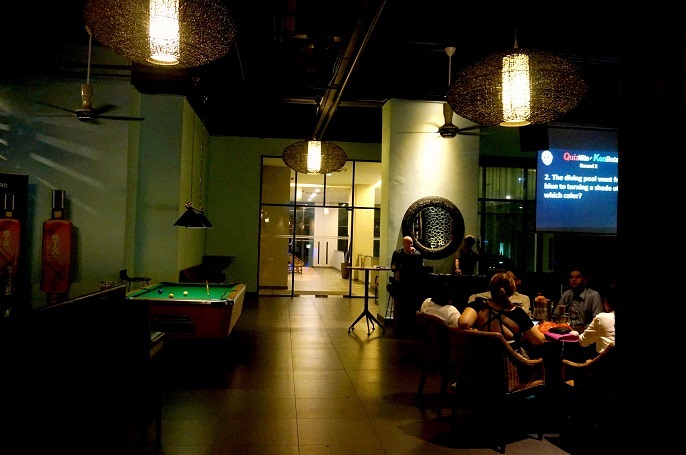 There is also an outdoor bar area which has live music, performance and a pool table. 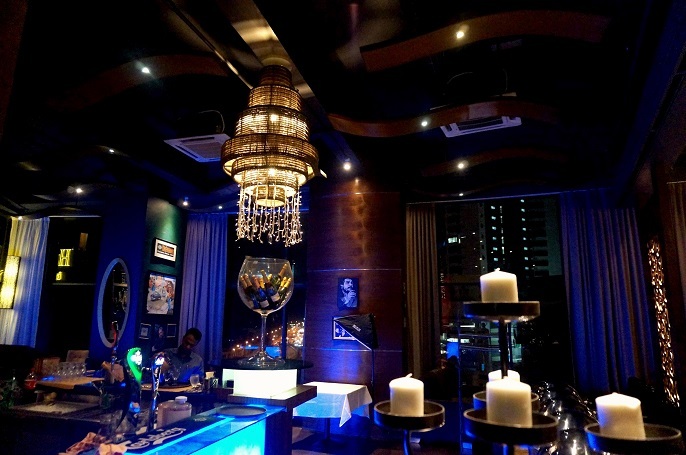 It's a place which is more casual for you to relax and enjoy while having some drinks. On Thursday night, from 6pm till 930pm, they have band performance with Colin and Leonard and followed by Quiz night with Ken Botak. On Friday night, they have Kizomba workshop with Azlan and Mabel from 9pm - 10pm and followed by Salsa Friday's Afro-Latin Socials by DJ Selva from 10pm till 2am. On Saturday night, they have The Hot Shot: British Pool Competition with prizes giveaways too. 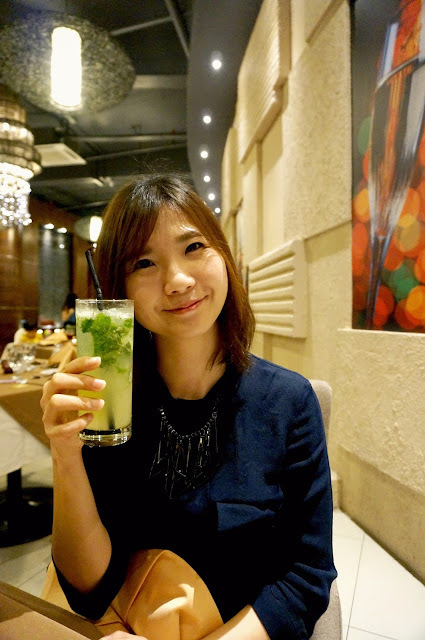 Signature Mojito is a good try at Hugos by Modestos as it's a good drink starter to kick of the night. 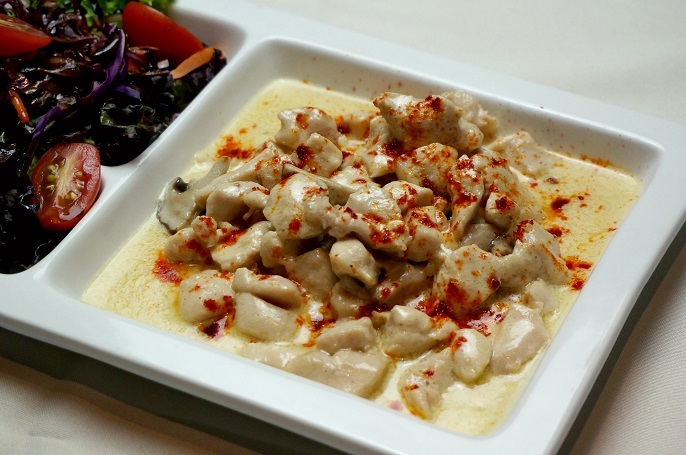 Creamy Sauteed Chicken Breast @ RM29, comes with free range chicken in a creamy garlic and paprika sauce. I personally think the sauce has added too much salt, hence it maybe good to dunk in some crusty garlic bread. 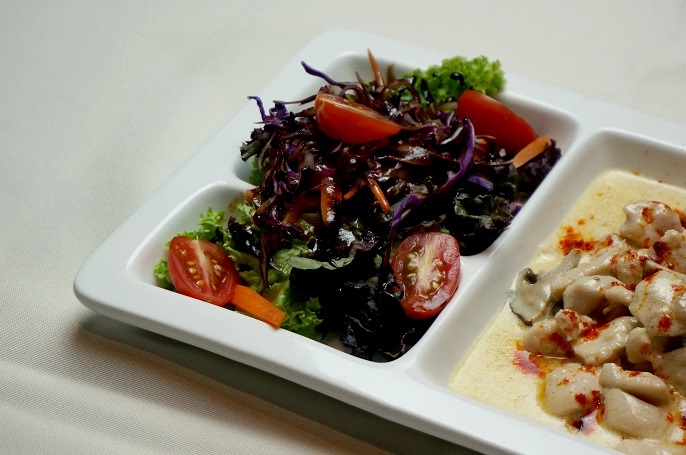 Besides, the garden salad is to accompany the chicken as a side dish. 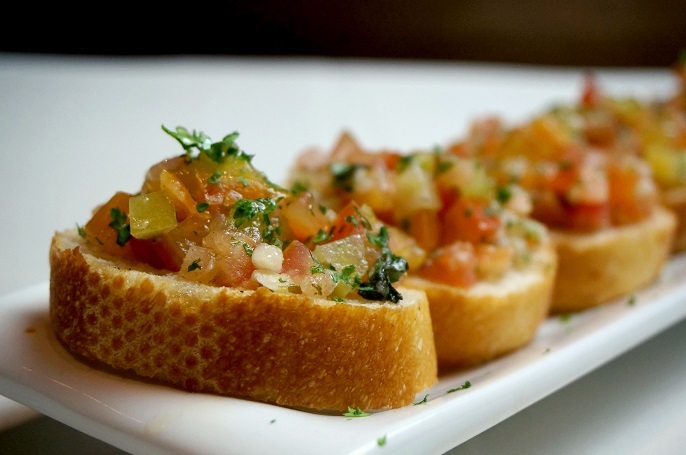 Bruschetta @ RM17, consist of garden farm bread with diced tomatoes, and topped with garlic and olive oil. 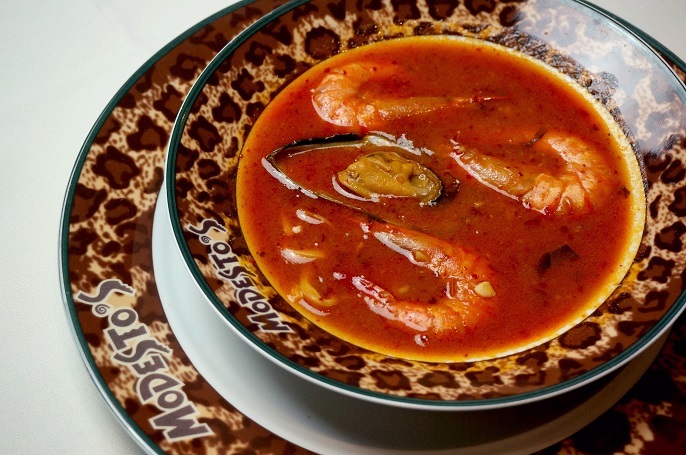 Zuppa Di Pesce Misto @ RM18, is a prawn bisque with clam and prawns. 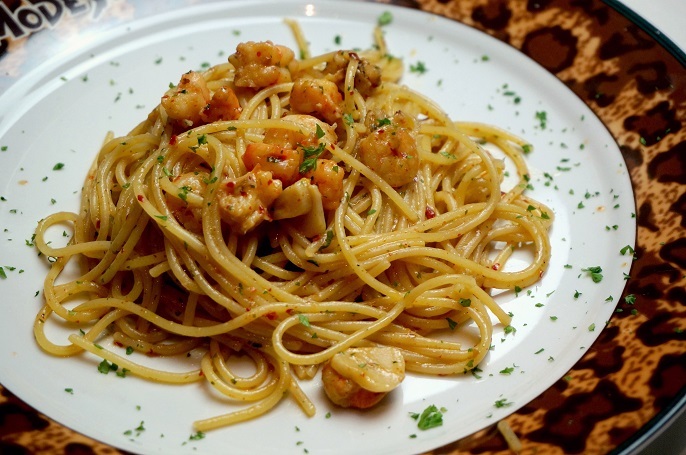 Spaghetti Aglio E Olio @ RM22 with prawns, toasted garlic, extra virgin oil and fresh chilies. It's one great food at the restaurant, however I think it could be a little bit bigger in portion. 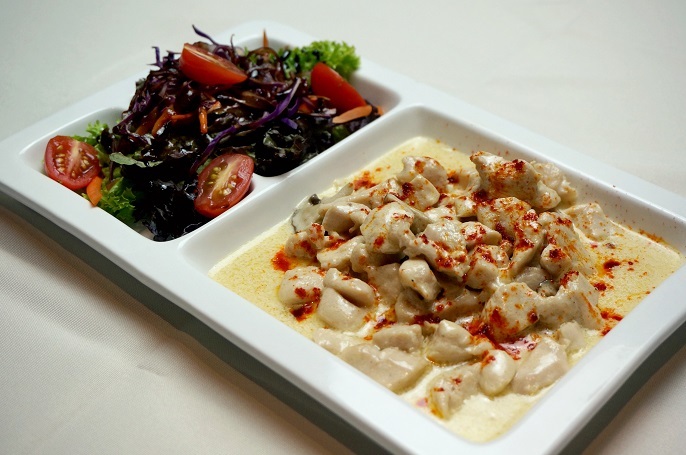 Scaloppina Di Pollo Al Funghi @ RM40 is a pan fried chicken breast with creamy mushroom sauce. 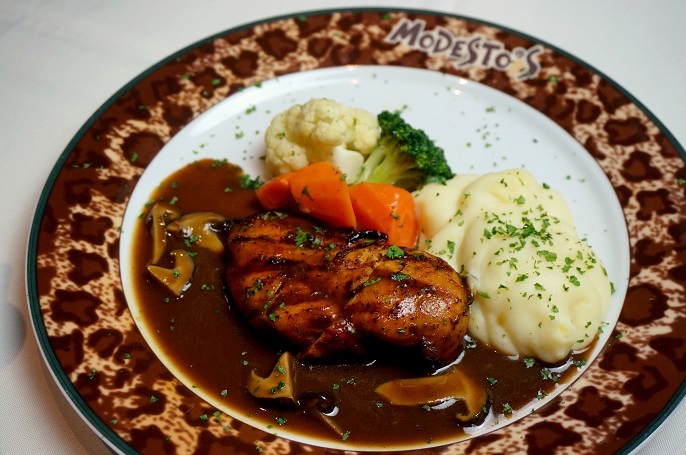 The western main course comes with a side dish of mash potatoes and some steamed vegetables. 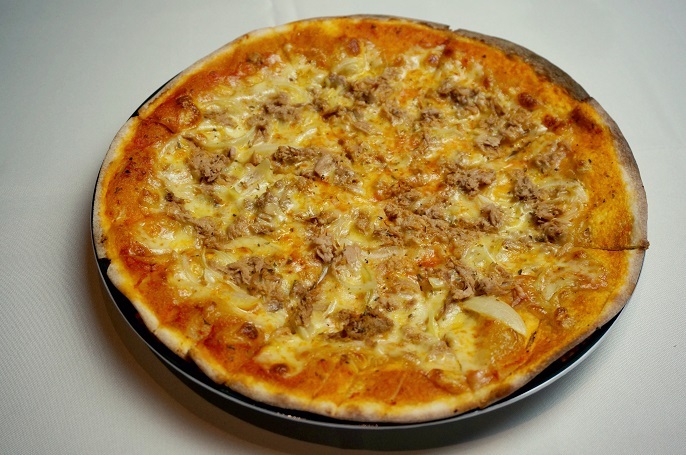 Tonno E Cipolle @ RM22 is a thin-crust pizza which has the toppings of tuna, tomatoes, mozzarella & onions. 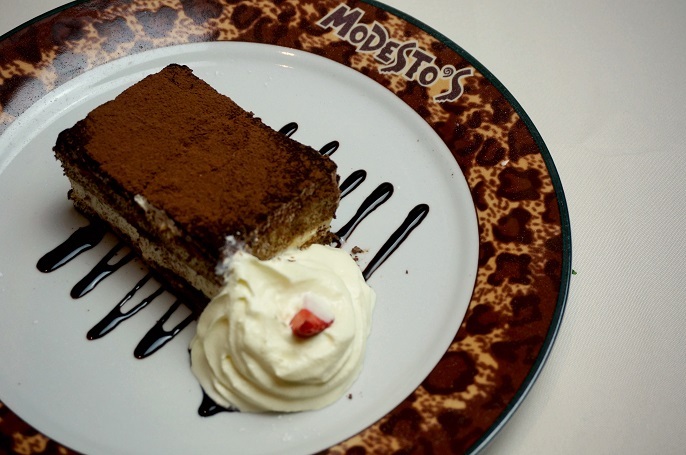 Tiramisu Modestos @ RM22 is a sponge cake which made of mascarpone and espresso coffee. 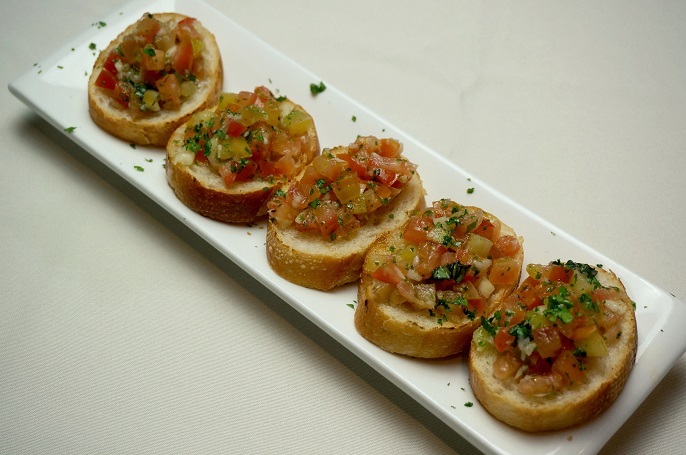 Last, I think Hugos by Modestos is a good place to have the private parties or corporate events. 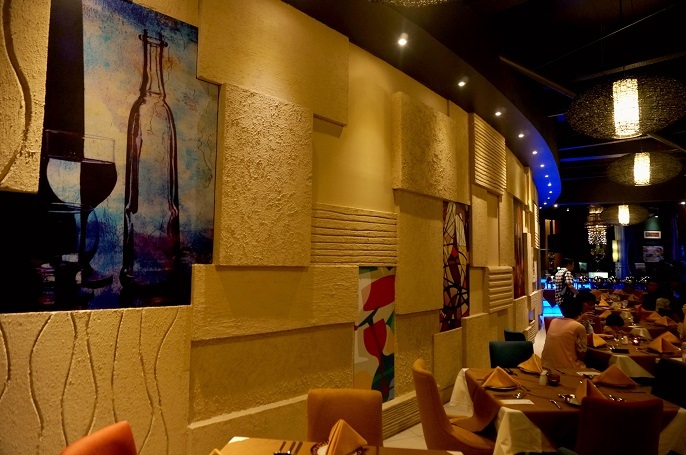 I like the overall atmosphere at the restaurant as the ambiance offers you a quiet and private dining experience with your loved ones. 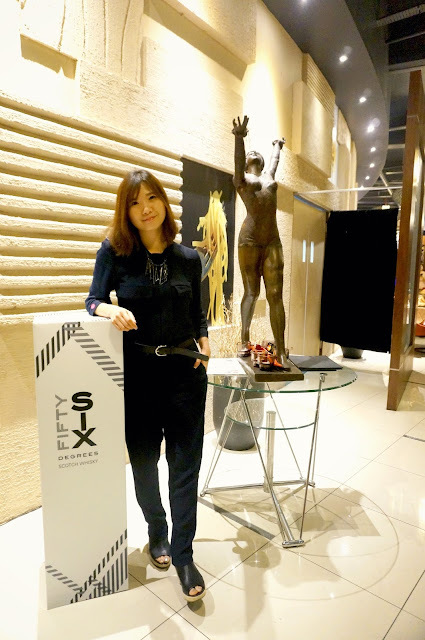 On top of that, the music performance and special events are so great that you can have a chill relaxed evening. 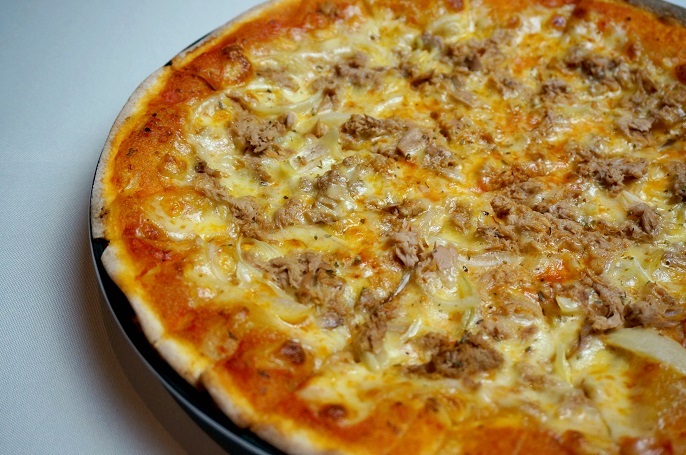 However, I think the food doesn't really interest me, and also they are relatively small portions.